Vacations are expensive. Vacations with kids are ridiculously expensive. Between not having the money and not having the time there is a growing desire for families to “staycation” instead of vacation. 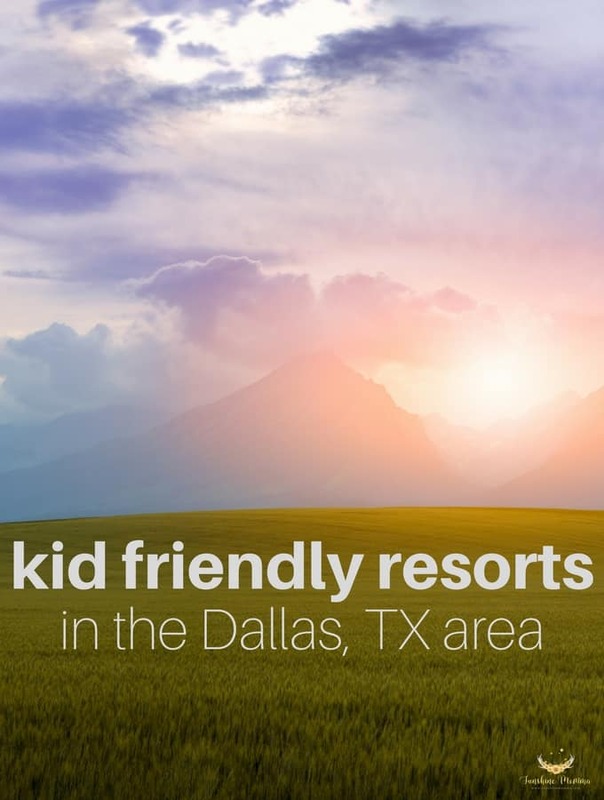 If you are looking to spend quality time with family on a getaway without actually getting away, these kid friendly resorts near Dallas might be of huge interest to you! There are many many family resorts in Texas that you can enjoy, but why go far when we have such a great selection here in North Texas?! Great Wolf Lodge is an indoor water park resort in Grapevine, TX. The largest attraction of this resort is its massive indoor water park equipped with everything from water slides to their lazy river called “Canyon Creek”. Great Wolf Lodge also has an outdoor pool for when the weather is nice! Although the water park is the largest attraction it is far from being the only attraction. Throughout the resort there are many different activities for kids including learning games, crafts, PJ parties, and story time! After you are finished with those games you can head out to the resorts outdoor ropes course, try your hand at the MagiQuest scavenger hunt, go see the 4D movie experience, or head out to play arcade games and laser tag! That isn’t even near all of the attractions you’ll find when staying at the Great Wolf Lodge Resort with your family! For parents, feel free to enjoy the fitness center or the spa! There are several different restaurants at the resort and even a Starbucks so there is no need for you to even leave the building. Great Wolf Lodge is the perfect place to have your DFW staycation. The Gaylord Texan is another incredible DFW family friendly resort to stay at any time of the year. During the summer kids can have a blast at the water park and outdoor pool (they have an indoor pool too) while parents sit back and relax in the lazy river. During the winter they have the most beautiful Christmas decorations and you can visit the ICE Exhibit while you are there! There are over 10 restaurants and cafes to choose from during your stay and both a spa and a fitness room for adults to enjoy. The Hilton Anatole is a luxury hotel in Dallas, TX that features several different amenities that are perfect for your DFW staycation. At Christmastime, the hotel hosts the popular event “Christmas at the Anatole” where kids can do everything from have breakfast with Santa to participating in a scavenger hunt! The hotel hosts a full “weekend experience” where guests stay all weekend and the family is occupied with various Christmas activities during their stay! Just this year, The Hilton Anatole also opened their luxury pool complex, JadeWaters! JadeWaters has every feature you can imagine to make it fun for both kids and adults. Adults can lounge out at the leisure pool which includes a swim up bar or float around in the lazy river while kids can have a blast over at the splash zone which has 2 water slides! Each weekend the hotel hosts family movie nights, pool activities, and a Saturday afternoon kids pool party! Dallas isn’t the only area packed with family friendly resorts in Texas! Here are some other resorts worth checking out for your next vacation or staycation!